The chances that a black man will die by the hands of a law enforcement agent is 9 times higher than that of a white man. The data for the study included 1,134 death cases that stemmed from police shooting in the course of 2015. 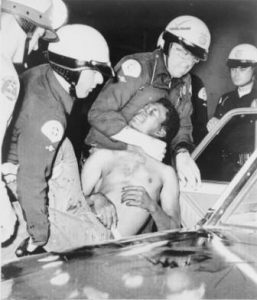 The findings that were most alarming showed that despite the portion of Afro-American males at the ages of 15 – 34 is no more than 2% of the general population, they constitute 15% of the death cases caused by the police. This figure is 5 times higher in comparison to Whites at the same age group. 43 people of all races that were killed by the police in the course of 2015 were under 18.6 innocent passers-by were killed as a result of being caught in the line of fire. What is more, not all death cases caused by the police included firearms. 89% of the cases involved shooting incidents, 4% involved physical clashes and 3% resulted from hits caused by police vehicles. Taking these data into account, it can be understood why various human rights groups in the United States blame the police for reckless use of its power. We can also understands what stands behind the popular protest of Afro-American which started in August 2014 after Michael Brown had been shot by the police officer, Darren Wilson, in Ferguson, Missouri. Brown was shot 12 times by Wilson although he (Brown) was not harmed. Wilson was not indicted by a grand jury. The US Department of Justice also decided to exonerate him. This case clearly stressed the problematic aspect of Afro-Americans and police brutality.